North America's largest, independent optometric alliance Vision Source, announced today that it has entered into a relationship with UnityPoint Health, an integrated health system which provides care to 4.5 million patients annually. Individuals in Iowa, Western Illinois, Southern Wisconsin, and South Dakota will enjoy improved access to eye health and vision services. The relationship between Vision Source and UnityPoint Health will deliver improved access to vision and eye health services throughout nine regions in Iowa, Illinois, South Dakota and Wisconsin. Both organizations focus on improving population health outcomes through a collaborative care approach for the patient. UnityPoint Health, provides healthcare with a team approach to accomplish their mission, providing the "Best outcome for every patient every time." Likewise, Vision Source optometrists are trained to screen for early detection of systemic diseases like diabetes and hypertension, then refer and collaborate with local primary care physicians to provide patient care and improved outcomes. "Vision Source and UnityPoint Health are a natural fit as both organizations are committed to ensuring high levels of patient care, satisfaction and outcomes." Jim Greenwood, President and CEO of Vision Source commented, "Vision Source and UnityPoint Health are a natural fit as both organizations are committed to ensuring high levels of patient care, satisfaction and outcomes. Our relationship with UnityPoint Health will enhance their already superior ability to provide integrated care in the most appropriate setting by expanding their reach through the Vision Source optometry network." "We look forward to building our relationship with the 121 Vision Source practices that span our nine coverage areas in Iowa, Illinois, South Dakota and Wisconsin. Working with Vision Source will give us the ability to better coordinate quality vision care to these areas on a broad scale. 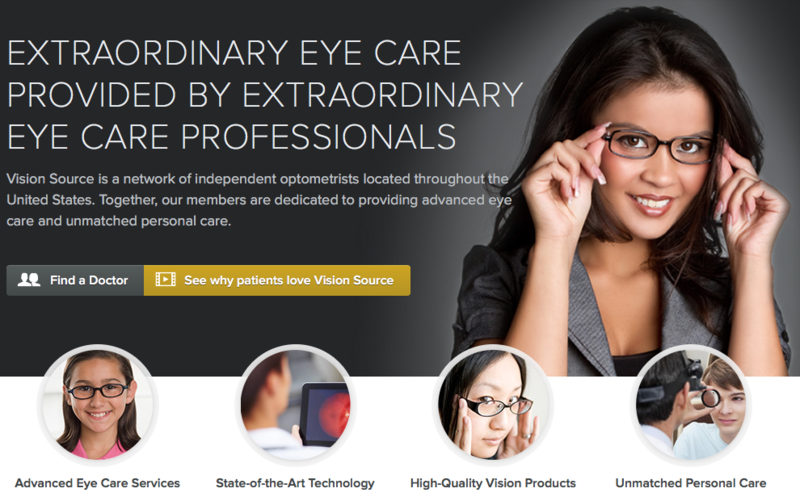 Patient access is vital and Vision Source is a well-known brand that patients trust. We are pleased to expand our network for the benefit of our patients." stated Aric Sharp, Vice President, Accountable Care UnityPoint Health. As the nation's 13th largest nonprofit health system and the fourth largest nondenominational health system in America, UnityPoint Health is considered to be one of the nation's most integrated health systems. Their physician-led team of professionals communicates clearly and effectively to address a patient's health care in the most appropriate setting. UnityPoint Health, UnityPoint Clinic and UnityPoint at Home provide a full range of coordinated care to patients and families in nine regions throughout the Midwest. UnityPoint Health (www.unitypoint.org) is one of the nation's most integrated health systems. Our physician-led team of professionals communicates clearly and effectively to address a patient's health care in the most appropriate setting: whether that is a clinic, a hospital or at home. Through relationships with more than 280 physician clinics, 32 hospitals in metropolitan and rural communities and home care services throughout its 9 regions, UnityPoint Health provides care throughout Iowa, Western Illinois and Southern Wisconsin. UnityPoint Health entities employ more than 30,000 employees, working toward innovative advancements to deliver the Best Outcome for Every Patient Every Time. Each year, through more than 4.5 million patient visits, UnityPoint Health, UnityPoint Clinic and UnityPoint at Home provides a full range of coordinated care to patients and families. With annual revenues of $3.8 billion, UnityPoint Health is the nation?s 13th largest nonprofit health system and the fourth largest nondenominational health system in America. The relationship between Vision Source and UnityPoint Health will benefit our patients through enhanced access to new resources, equipment, and technology.